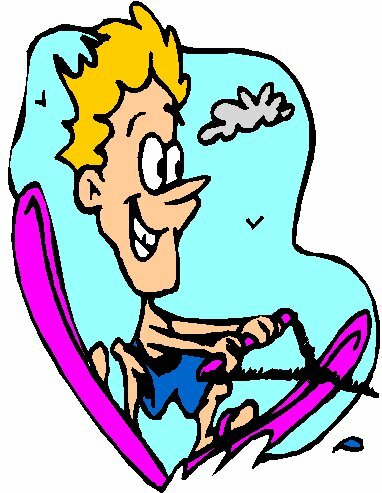 On a hot summer day while boating on a lake, Luke's dad asks, "Luke, do you want to learn to waterski today?". "Yes", says Luke. Luke's dad retrieves the waterskis, towing rope, and life jacket from the front of the boat. Luke puts on the life jacket and jumps into the lake water. He slips on each ski and holds the rope handle while his dad provides instructions. "When you're ready to ski, just say "Go!" And hold on tight!" says dad. Luke nervously hangs onto the rope, trying to keep his ski tips up. With mom watching from the boat, Luke yells "Go!". Dad moves the boat slowly at first (to get the tow rope tight), then causes the boat to go faster. Luke holds on tight as he's lifted out of the water. "I did it!" screams Luke as he glides across the top of the water. "I'm skiing!" What is the temperature in this story?